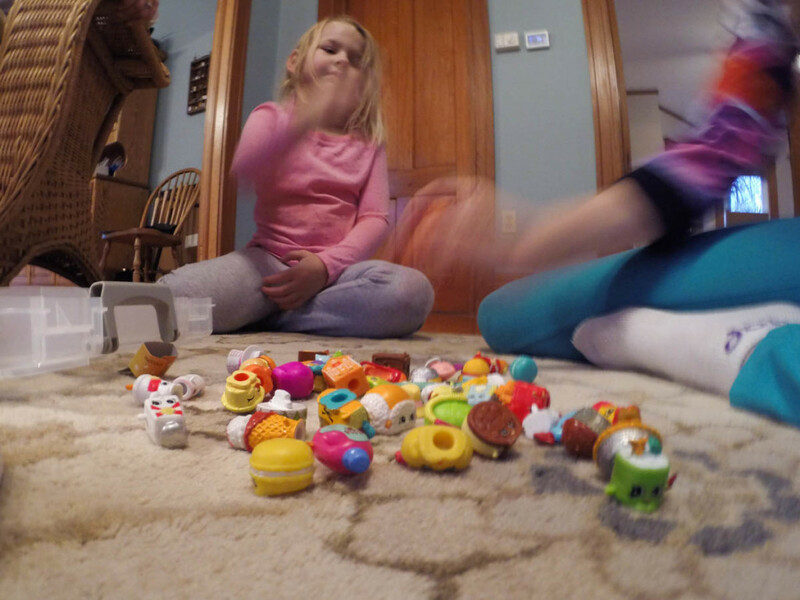 I tend to ignore the photo setting on my GoPro, but I have a goal to up my still photo game. 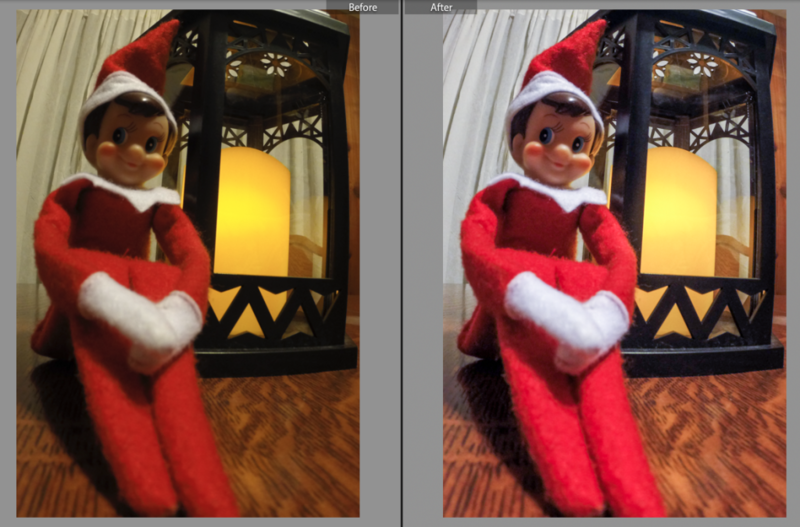 With Christmas coming up, I thought it would be a good idea to spend some time exploring how to get the best photos indoors. So I have 3 important tips for shooting, plus just a couple of simple edits you came make to GoPro photos that are a little dark and “bleh”. 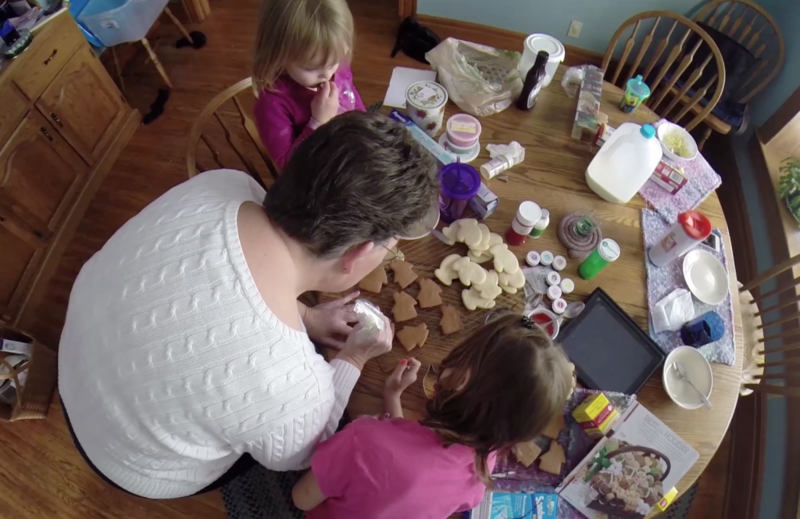 This is a photo of my kids decorating Christmas cookies with their Grandma – and in all honestly, this is actually a screenshot from a video taken on my GoPro Hero3+ but this is the best example I could find of natural light indoors. There is a huge window on the right, plus natural light coming from the bottom left. The room is filled with light and there are no dark scary corners. You want to take a still photo? You will need a still subject. If you’re planning to take still photos of kids running around or fast-moving objects, you may be out of luck. The other thing you should be mindful of is camera shake. 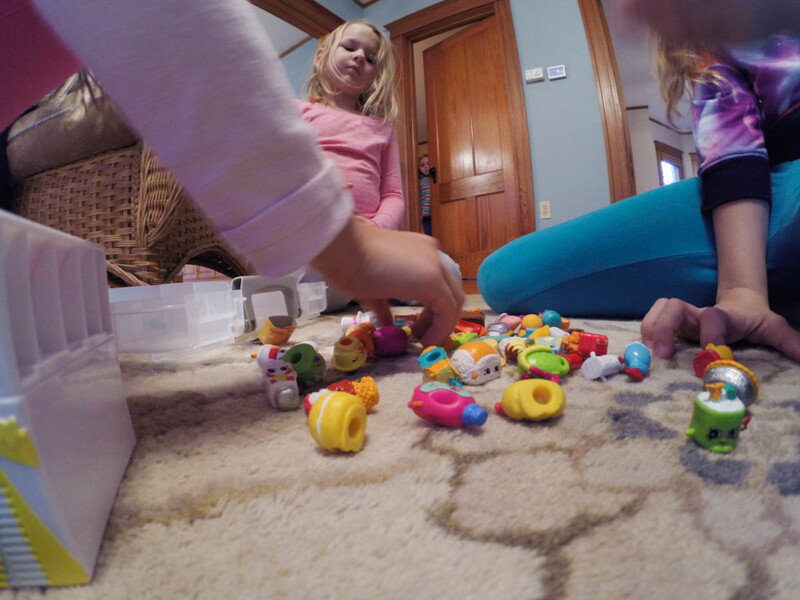 If you can, steady your GoPro on a flat surface, use a tripod, or use this handy GoPro mount. 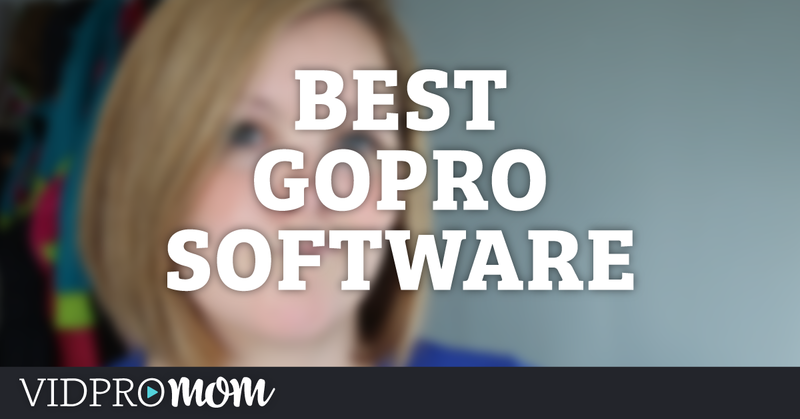 You don’t need to have PhotoShop or any kind of professional editing software to edit photos. I love to use Lightroom (From Adobe) but it’s not necessary. In fact, you can edit still photos without even using software at all! I love to use Picmonkey.com for quick edits. It’s easy, and free, and in the video above, I show you exactly how to do it. All of these editing options are available within Instagram too (also outlined in the video). 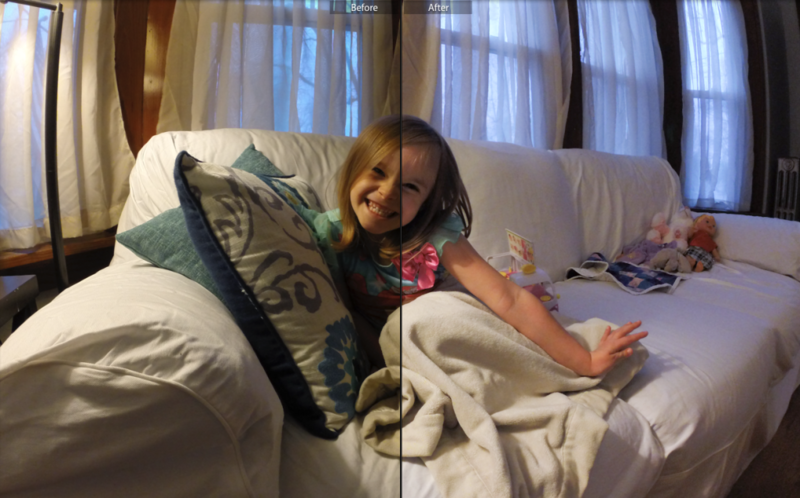 In whatever software you’re using, you want to make sure to check your color balance. The best way to explain that is to make sure your whites are white. Look at anything white in your photo and ask your eyes “does this actually look white? or is it yellowish or blueish?”. If you took the photo inside with indoor lamps on, there is a good chance that your white will be yellow-ish. You can adjust that with the color balance setting. Bring your setting up or down until your whites are white. You may want to bring up the brightness of your photo as well (don’t go to far, you don’t want to wash it out completely and lose detail). Since you’ve adjusted the brightness a bit, you might want to also make sure your shadows are… shadowy. Highlights are sometimes a good thing to experiment with also (make the light spots in your photo more highlighty). If you do make adjustments to these things in your photos, please hear these words in your head as you do it: NOT TO MUUUUCH! 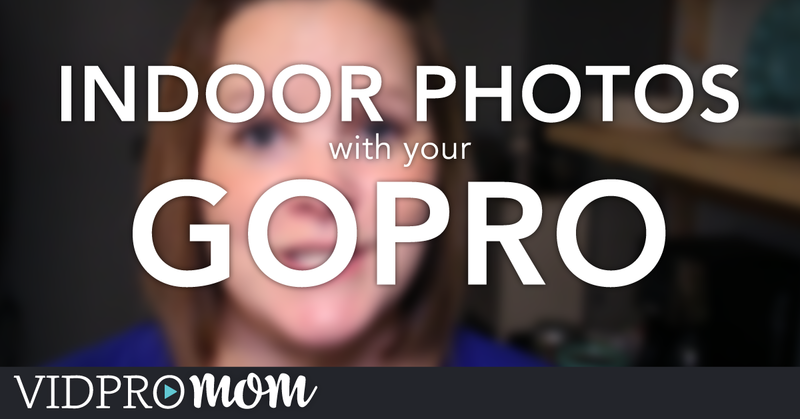 You don’t want your photos looking over edited or just plain unnatural. Or at least, I don’t. 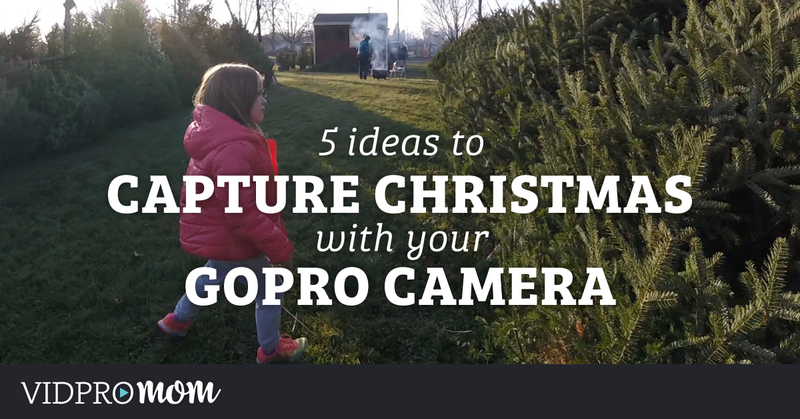 If you post your Christmas or any kind of GoPro photos on Instagram, would you let me know by tagging #vidprofamily? I’ll be checking that hashtag to see what you’re up to! Thanks! Good job in the Lightroom. I’ve been thinking about that, but have been using Final Cut Pro X thus far, but always like seeing other examples. I have both the 3+ Silver and the 4 Silver. There is a pretty appreciable difference in the low light capability, even with Pro Tune off. Either way, tripods really help in these low or bad light situations. It’s all about setting yourself up for success, isn’t it. Anyway, just wanted to say I’m glad another Mom is out there putting information about GoPros! I’ve even started building most of my own rigs, mounts, and attachments and had a blast including my kids for more ideas! We’ve built our own diving/steady cam rig, teleprompter, handgrips etc. Keep getting out there and playing!